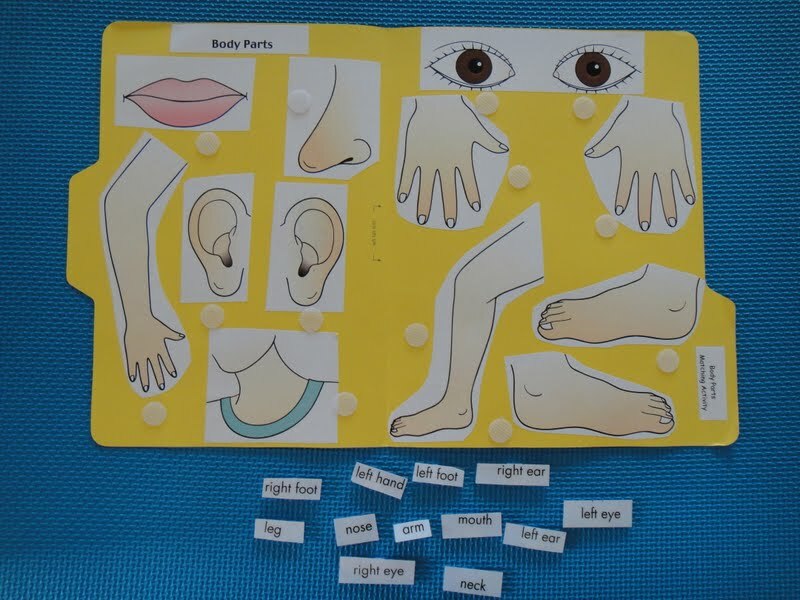 "Body parts" is one of the first subject toughed in early learning program. 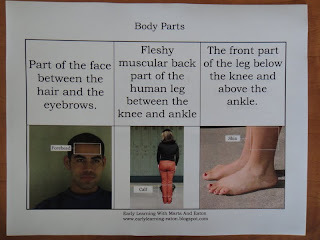 I created this Unit to teach Eaton all parts of the body. I gathered all activities together and I put them in a folder. First activity: Matching words to pictures. 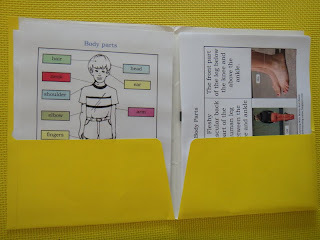 This file folder I created long time ago as one of the first file folder games. 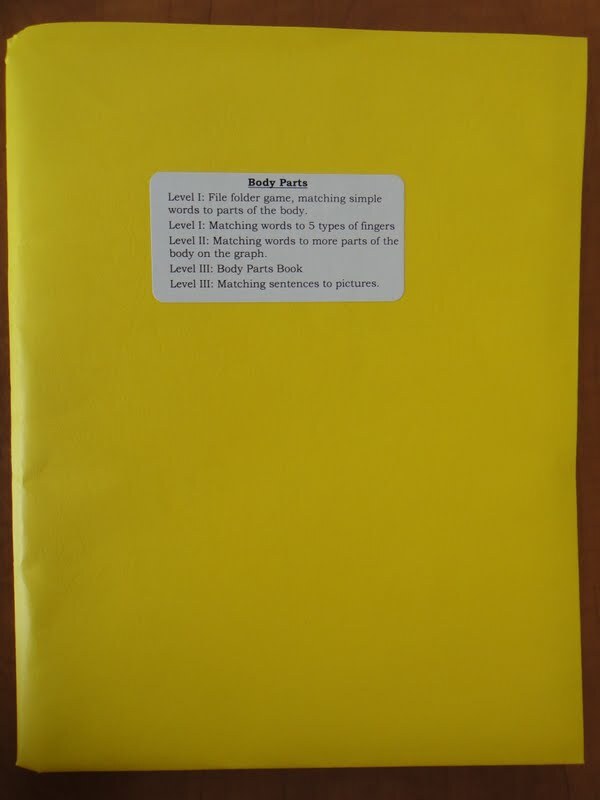 But this is still available for Eaton to play with. Game created from Kizclub. 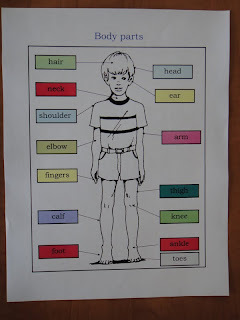 Second activity: Different format of matching activity with more parts of the body. 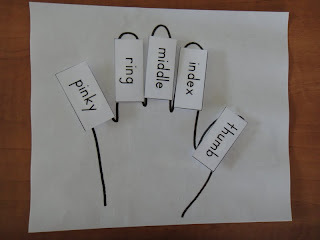 Fourth activity: Matching sentences to pictures. 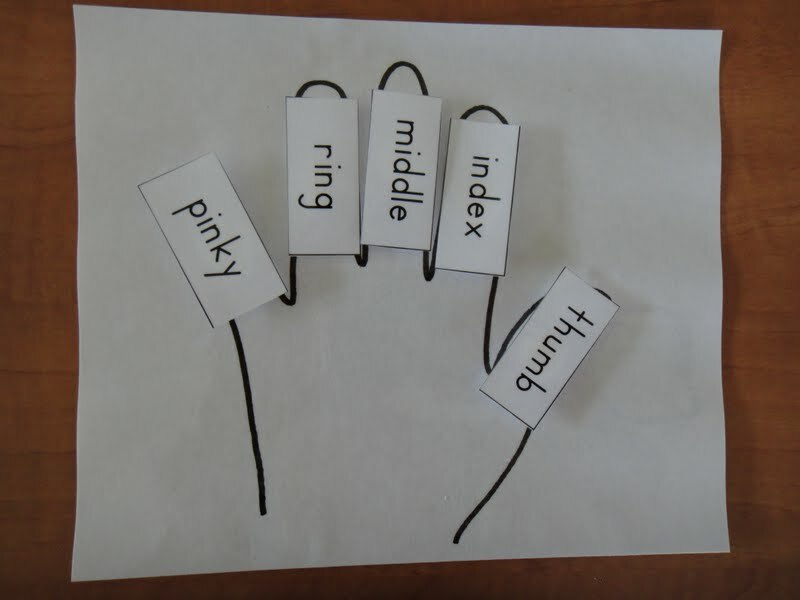 You can use them as flashcards, matching activity, or use it as a book. 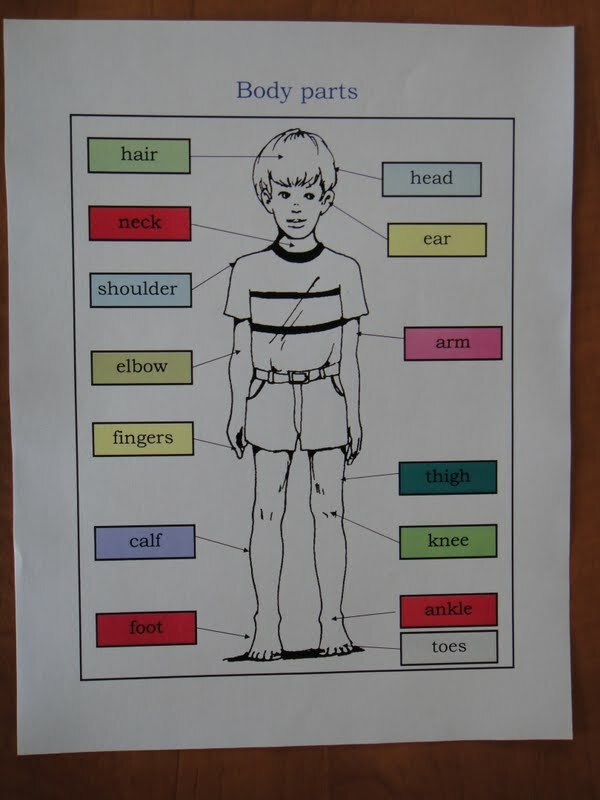 I like this activity because Eaton reads sentences and there are few words he doesn't know. I like your idea of having a clue describing an area on the body and then having your child use the clue to name that particular body part. Also, I like to create activity that is easy at first and make it harder later. This way a toddler is encouraged more. 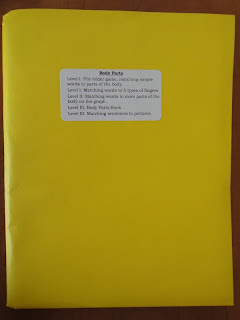 I like this activity!Thanks a lot for sharing my bloggy friend! You very welcome Patty :-)I hope your daughter will enjoy these activities.